Every so often I download a game on my iPhone that gets me hooked, and I’ll continue to play it week after week until I see it in my sleep. One of those titles is Temple Run from Imangi Studios, which will be making its debut on Android on March 27. The free title has gamers running through the jungle, dodging trees and traps and jumping over gaping holes using its intuitive touch controls in a bid to outrun the evil monkeys guarding the temple. The aim of the game is simple: Run as far as you can to achieve your highest possible score. It’s that simplicity that makes the game so appealing, and so addictive. That’s why Temple Run is currently 2012’s top grossing app and top free app in the App Store, with over 40 million downloads since its release in August 2011, and over 7 million active users per day. Like the iOS version, Temple Run for Android will be free to download and play. You’ll have the option to purchase additional content, like new characters and power-ups, with in-app purchases. But you don’t need to spend a penny to enjoy this terrific game. 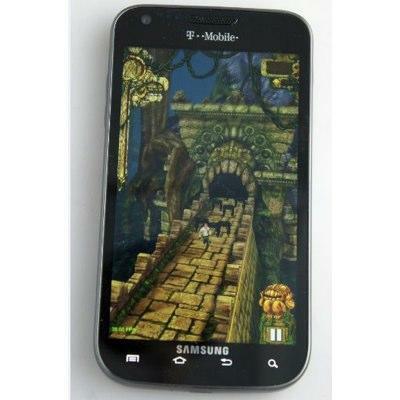 Are you looking forward to grabbing Temple Run on Android?